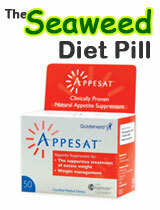 Anti-obesity pills and capsules now have become major ways to treat obesity. Many are over the counter weight loss pills, and unfortunately most of these come with a plethora of side-effects which end up seriously affecting the user’s health. Avilean is one such anti-obesity non-prescription tablet available in market which comes with serious lack of information about the manufacturers as well as the product itself. The website of Avilean is not informative enough and lacks relevant official data like the chemical composition of the product, its clinical results, as well as users’ review. Without having all these data it is difficult to assess its efficiency. In addition to its incomplete product information, several reviews are found in different websites about its fraudulent transaction of money and lack of customer service when consumers face doubts or problems. In a nutshell, despite the wonderful reviews that adorn many diet pill review sites, Avilean is not recommended as an anti-obesity pill as consumers are confused about its safety, utility and functionality. 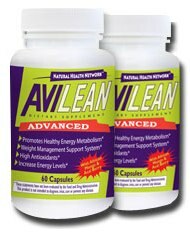 Avilean is an anti-obesity pill that works as a metabolic booster as well as a natural preventer of carbohydrates and fat being absorbed from daily foods. According to its manufacturers, Avilean is made of bean extract and caffeine based tea extracts which are known carb-blockers and supportive agents for quick weight shedding. It is claimed to be an efficient weight loss pill especially for abdominal weight loss which will get rid paunch and pot belly although no specific time frame has been designated for getting optimum result out of its usage. The main two ingredients of this weight loss pill are caffeine and Amylezene. These are widely used in several other weight loss pills therefore productivity and safety of these two products are already tested and established. The other ingredients of this pill are not clearly specified even in its official website which is not just confusing but also a little scary. A single file of Avilean contains 20 pills and officially it has a 30-day money back guarantee although there are several consumer complaints that the company never entertains customers’ money refund claim. According to manufacturers’ claim, users will lose almost 85% of body weight within one month of consumption. This is not only unscientific but also a dangerous claim as weight reduction at this pace is not normal or healthy. Besides, non-availability of ingredient list and its percentage in forming the medicine is nowhere available, hence it is not possible to effectively identify its side effects. The official website seems to be the only online store that sells the product legitimately. High street stockist such as Holland and Barrett, Boots and Tesco do not hold stock. 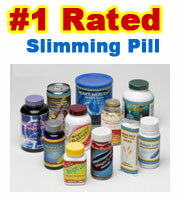 There are several slimming pills that are worthy of consideration over and above Avilean. Maxislim is an all-natural diet pill supplement targeted towards effective weight loss. It is based on herbal ingredients and an ancient Chinese formula which has been known to promote weight loss for centuries. Having said that, the manufacturers do not provide us with too many details of the formula or how it works. All we know is that it contains a laxative and two diuretics. Users are advised to drink plenty of water along with this pill as the laxative may lead to serious dehydration. Maxislim works best with a strict diet and exercise routine. Manufactured in the United Kingdom, Maxislim is targeted towards overall wellness. It works as a day and night formula which decreases appetite, increases energy levels in the body and releases fat reserves. People over 65 and below 18 years of age are advised not to take, as are pregnant or breast feeding mothers. Anyone with an existing medical condition are also advised to refrain from using. If you have high blood pressure, heart or thyroid disease, diabetes, are taking prescribed medicine or are allergic to shellfish do not use. The makers of Maxislim claim that it is a unique blend of natural herbs and supplements which work synergistically to promote weight loss. It contains the active ingredient L’Tyrosine which is an amino acid known for suppressing appetite. The herbal formula generates thermogenesis helping the body break down fats and burn calories better. It also claims to boost up the metabolic rate. Lack of clinical data and consumer reviews make it difficult to assess how effective the pill really is. It also makes it dangerous for everyone to use because not all side-effects have been reported or found. 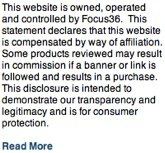 Also, there is no dedicated website to provide details on the product. All we can find is sporadic information on retail and review sites, and even here the information is incomplete. Unlike its rival counterparts it offers no refunds or guarantees so their claims to be safe and effective seem somewhat suspect. 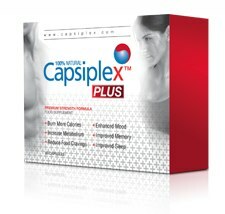 Capsiplex Plus – a combination diet pill that can help to burn fat and reduce the need to snack via appetite suppression. Capsiplex Plus also includes 5HTP proven to boost the feelgood factor by promoting serotonin production. Carb Block is meant to help you where bagels, lasagne’s or pancakes are irresistible. This new and “revolutionary” dietary aid claims to stop your body from digesting carb calories by “blocking” them. The manufacturers state that their supplement will halt the digestion of sugars and carbs into the body, stopping any surges of insulin that might come after meals or snacks. Carbohydrates are found in foods such as: biscuits, pastries and cakes, pizzas, sugary processed breakfast cereals, white bread, white flour, white pasta and white rice. What could be in this “revolutionary” product that will permit it to get rid of any need for self-control? 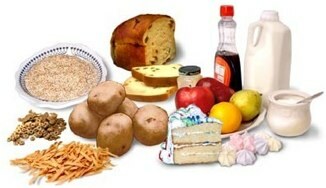 Exactly the same substances which are found in many other similar products on the market, that usually have names like “Carb Destroyer” or “Carb Terminator”. Included in the ingredients is: Vanadium, Chromium, Phaseolin EX – aka White Kidney Beans Extract, Alpha Lipoic Acid and Gymnemalin. Phaseolin EX allegedly hinders the function of the enzyme responsible for the digestion of carbs. Gymnemalin & Chromium effect the amounts of insulin to lessen blood sugar anomalies. Vanadium & Alpha Lipoic Acid both apparently help the body to control glucose. The makers of Carb Block claim that these components make their supplement complete, and permit users to cheat when adhering to a diet program. The problem is that no proper clinical data is offered in support of this claim. Also, there is a noticeable lack of positive customer comments online, and hardly any sites selling Carb Block make any kind of guarantee. Slimming down is usually a challenge. If a product did exist that enabled dieters to ‘cheat’, without needing to worry about weight gain, then that would be great. But, no evidence is there to indicate this. Carb Block has attempted to place a new label on a pre-existing blend of substances, and call it “revolutionary”, believing that this will entice some individuals to jump on the bandwagon. 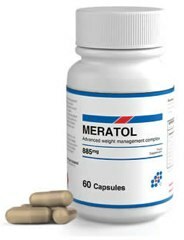 Meratol is arguably the most comprehensive of the current crop of carb blockers. With a glowing testimonies from major sections of the world media, Meratol was billed as the ‘Pill that keeps the stars slim” with reference to its stellar customer base.